Muzaffarnagar (UP) Hitesh Kumar was only six years old when his father fought martyr in Kargil on June 12, 1999. His father was in the second Battalion of the Rajputana Rifles and was the resident of Muzaffarnagar. He was martyred while fighting the enemies in the War of Kargil. At that time, Hitesh always wanted to join the army when he grew up. After 19 years he has become a lieutenant in the army. 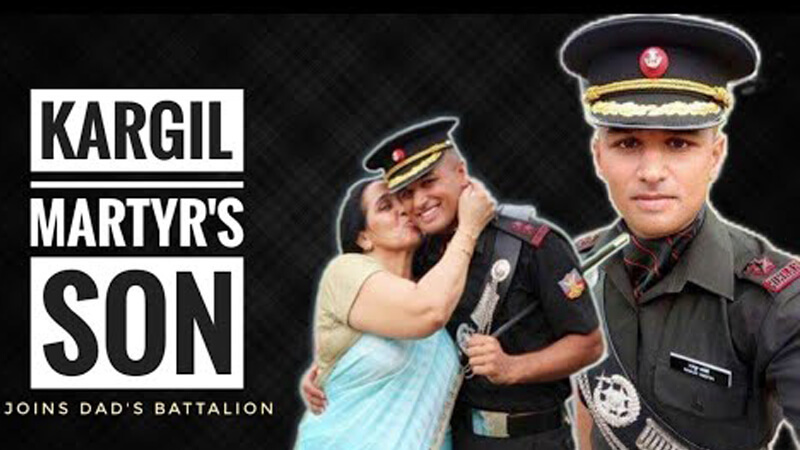 Interestingly, Hitesh will serve the same battalion in which his father served. Even his younger brother is preparing for the army. 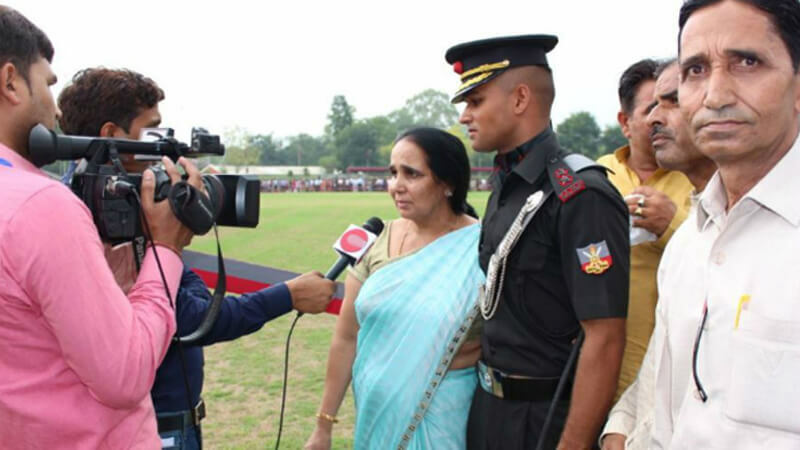 After becoming Lieutenant, Hitesh went to his city, Muzaffarnagar. Where he went to the statue of the father and paid homage to him. Seeing this moment, the whole of Muzaffarpur became proud. Hitesh explains – ‘Mother also had the same dream that I should join the army. Now I will serve my country with full sincerity and respect. ‘ His mother said, ‘After the husband’s martyrdom, I had decided to send two sons to the army. Today I am proud that Hitesh has been selected, the younger son Hemant is also preparing to join the army. Furthermore, The Kargil war that started in May 1999 on the Jammu and Kashmir border lasted till July 26. Nearly two and a half months of the war, about 500 soldiers of the Indian Army were martyred. Also, read about how Indian Army Took Revenge Against Uri Terror Attack Through Surgical Strike here. Woman Delivered Baby Only With The Help Of YouTube Videos!